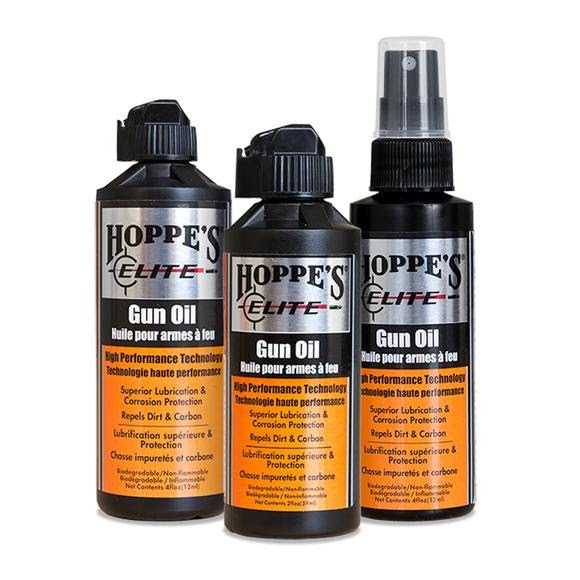 Hoppe's Elite gun oil uses a thin coat technology, spreading gun oil evenly in a micro-fine layer. This provides superior lubrication and corrosion protection. Traditional oils tend to puddle, not fully coating or protecting the firearm, leaving it vulnerable to rust and potential malfunction. Hoppe&apos;s Elite gun oil uses a thin coat technology, spreading gun oil evenly in a micro-fine layer. This provides superior lubrication and corrosion protection. Traditional oils tend to puddle, not fully coating or protecting the firearm, leaving it vulnerable to rust and potential malfunction.